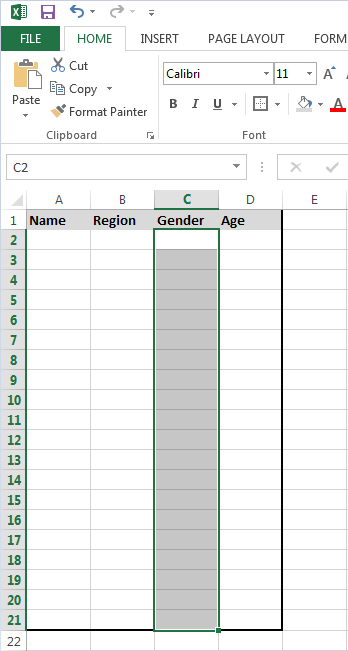 We can control the type of data or the values that users can enter into a particular cell or range using Data Validation in Excel. 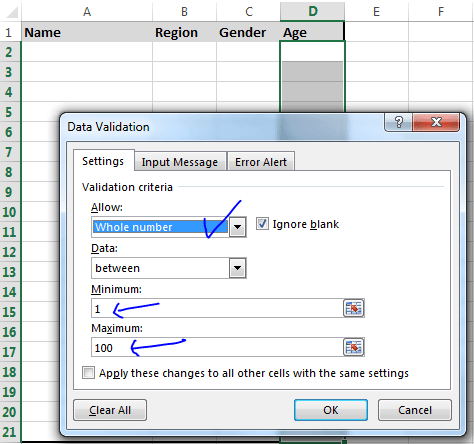 Data Validation is a feature available in Excel to define restrictions and what data can enter in a cell or a range. 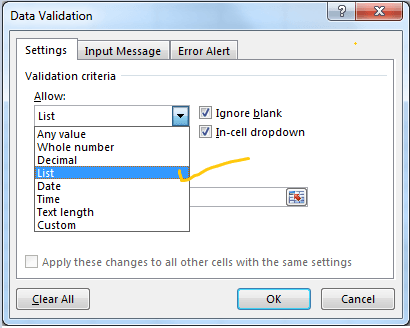 It is a good practice to have your list of values in the worksheet and choose those values for drop-down list. 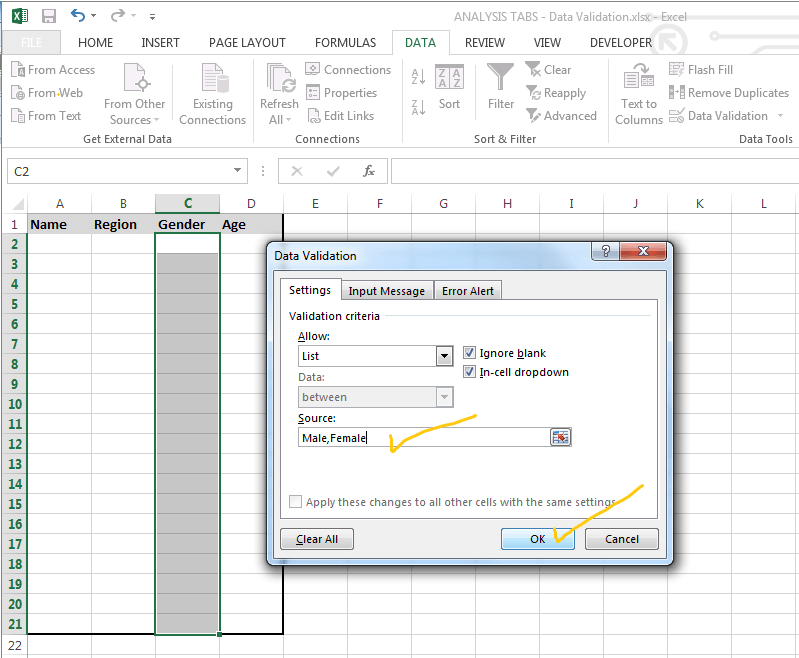 It is particularly very useful when your data list is having more number of items or your list is changing frequently. 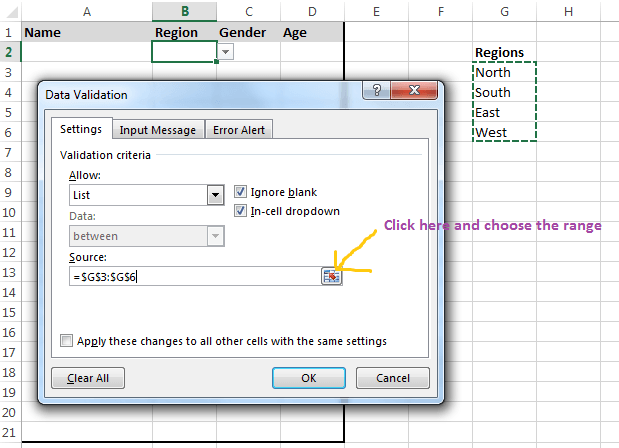 Select the Range / Cells to restrict or add data validation. 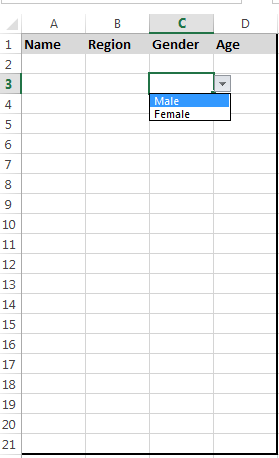 You can provide the instructions to the user while entering the data. 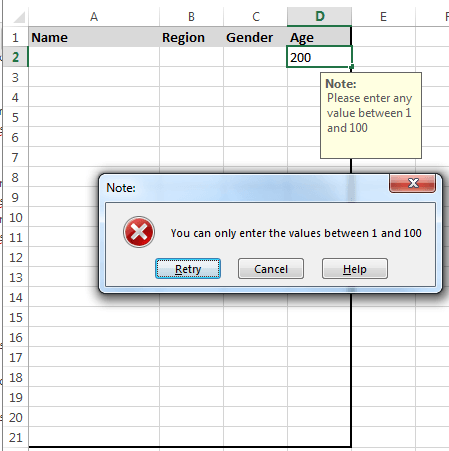 In the following example, we will see how to restrict the enter values between a range and provide the user instructions. 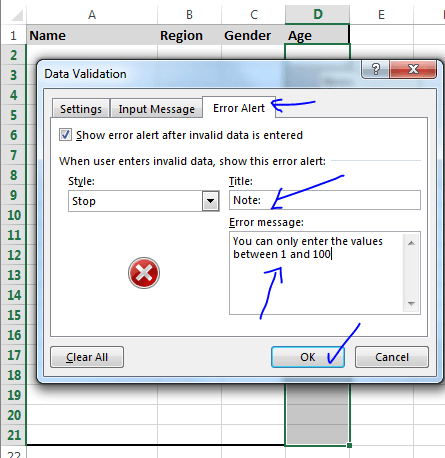 You can provide the error message to the user while entering the incorrect data. 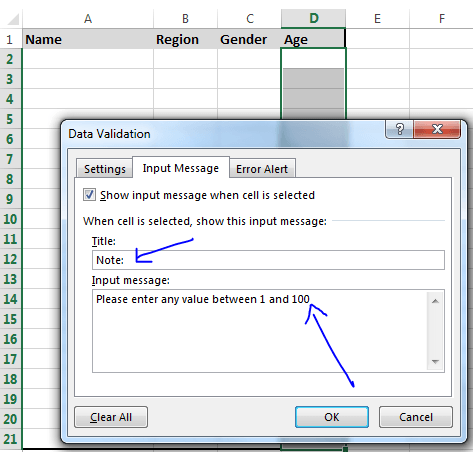 In the following example, we will see how to provide an alert message to the user. 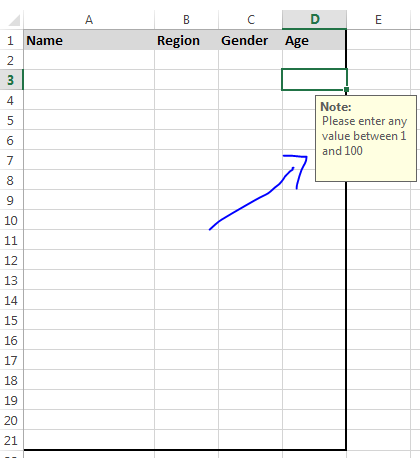 Download this example file and see different ways of using data validation features of Excel.